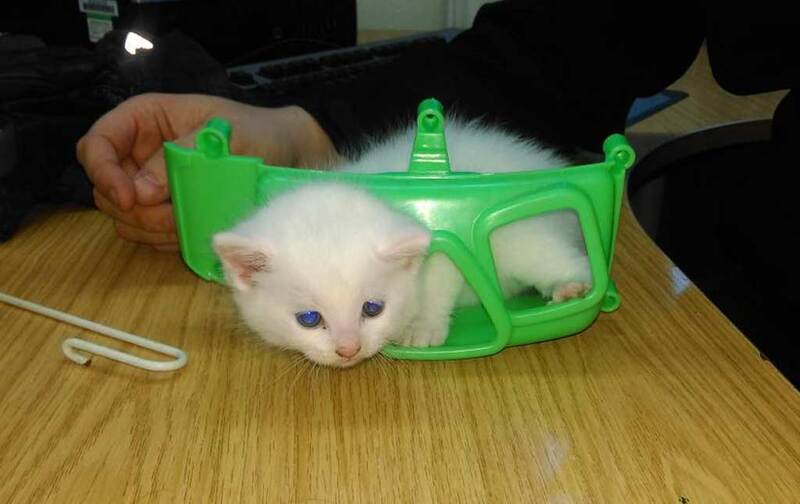 Firefighters in the West Midlands managed to free a four-week-old kitten after he got himself trapped in a children's toy. Frosty, who is currently being cared for by Ravens Rescue UK, based in Kingswingford, got himself stuck at around 7pm on Monday evening, with fire crews from Dudley fire station immediately called to the scene. Crews were able to use ring cutters, which are usually used to remove people's rings that have got lodged on their fingers, to remove Frosty, who is snow-white with blue eyes, from the toy. 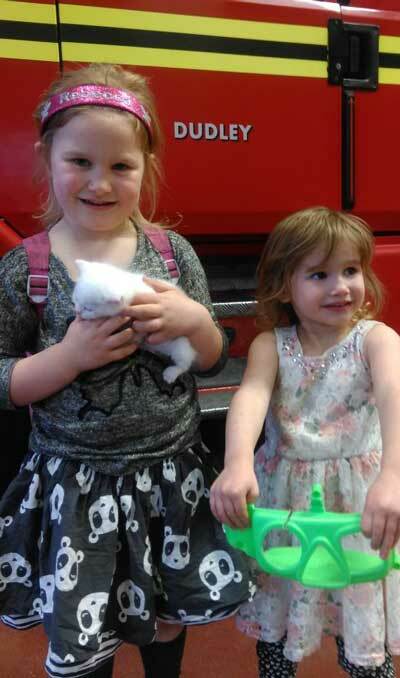 Rebecca aged five, and Evie aged three, from Dudley, were thrilled when Frosty, who they have helped to care for at the rescue centre, was freed. Carl Hill, crew commander at Dudley fire station said: "It's one of the most unusual cases we've been called to attend. We're just glad that we were able to help, and that we were able to use the ring cutter device to remove the toy." Seems like a waste of time. The toy looks like a piece of plastic. Doesn't anyone have a toolbox with pliers or wire cutters? Scissors might do too. Okay, now they're just attention-whoring. This "preez res-kew mah fluffy" nonsense is getting out of hand; it's a waste of public resources. A waste of public resources? I dont think so, the cat's owner bought the cat to the station and the crews on duty were more than happy to help and more than happy to get some practice in using the ring cutter. I should know as i was there.